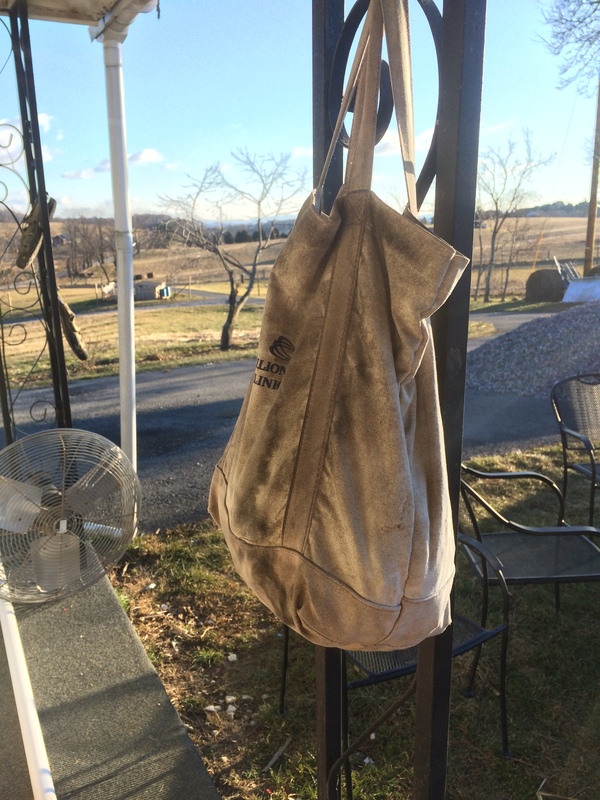 This grungy bag houses my clothes pins for the clothes line. 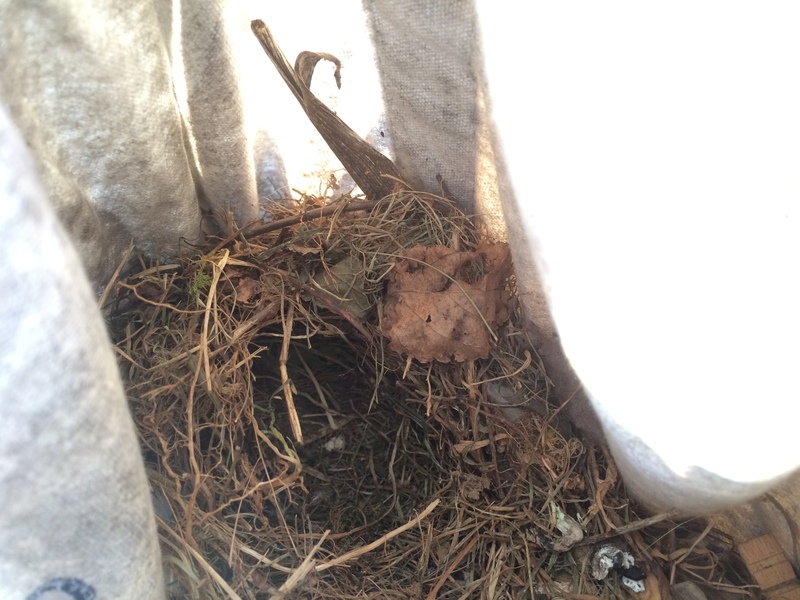 I’ve been seen a wren hanging around this bag really closely the past week or so. Guess that explains the interest….